How to Fix a Mac Application That's Not Starting? Fixing file permissions or deleting preferences may help. There can be quite a few reasons for an application to fail to launch, but the most likely cause, if you're running OS X Yosemite or earlier, is a disk permissions error. Disk permissions are flags set for each item in the file system. They define whether an item can be read, written to, or executed. Permissions are initially set when you install an application, such as Safari. If these permissions get out of whack, they can prevent an application from working correctly. 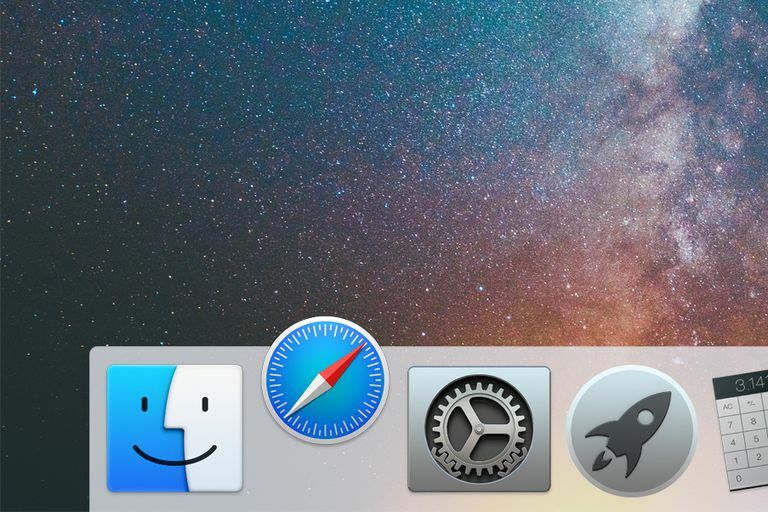 The result may be a bouncing Dock icon, as you mentioned, and an application that never finishes launching. Other times an application may appear to launch normally, but then some part of it fails to work, usually a plug-in that the application uses. Besides file permissions, there is the possibility of an apps preference files being the source for an app that is acting wonky and not starting up or working correctly. No matter which is the cause, these tips should help you fix the problem. As mentioned above, a common problem found in the earlier versions of OS X is the file permissions being set incorrectly. This can happen whenever you install a new app, update an app, or upgrade your copy of OS X. All it takes is the installer to be coded incorrectly, and an app's permissions can be set incorrectly. It doesn’t even have to be the same app being updated. You could install a new photo editing app, and it could accidentally set the permissions on a folder shared by another app incorrectly, causing the dreaded bouncing Dock icon or an app simply failing to start or work. The first thing to try in this situation is to repair disk permissions. Luckily, you don’t need to know what the permissions should be; your Mac keeps a database of the default permissions for most applications that you’ve installed. All you need to do is launch Disk Utility and run its Repair Disk Permissions option. You can find instructions on how to do this in the About: Macs Using Disk Utility to Repair Hard Drives and Disk Permissions guide. The other set of file permissions you may want to check are those associated with your user account. User account file settings usually won't affect applications, such as Safari, that are stored in the /Applications folder. However, some apps are placed in the user folder, so your user folder may also contain the preference files used by an application. You can find details on fixing user account permissions in the Mac Troubleshooting: Reset User Account Permissions guide. With OS X El Capitan, Apple locked down system file permissions, including those in the /Applications folder. As a result, file permission issues should no longer be a concern as the cause for an app not working. That’s the good news; the bad news is that now you'll have to dig deeper to find out what's causing the issue. One step to take is to visit the website of the app developer and see if there are any notes about compatibility with the version of OS X you're using or any known incompatibilities with other apps or services you may be using. In many cases, updating the affected app can cure the problem you're having with an app not starting or not working correctly. The other common cause of an app not working is a corrupt file used by the app in question. In many cases, the most likely candidate for a corrupt file is the app's preference file, also known as a plist. Plist files can become corrupt when your Mac shuts down or restarts unexpectedly, or an app freezes or crashes. Luckily, you can delete a bad preference file and the app will create a new plist file that contains all of the app's defaults. You'll need to reconfigure the app's preferences, but it's likely that deleting the preference file will fix the issue. The tilde (~) character in the pathname indicates your home folder, so if you looked in your home folder, you'd expect to see a folder named Library. Unfortunately, Apple hides the Library folder so you can’t accidentally make changes to it. Go ahead and access the Library folder, using instructions at the link above. Now that you're in the Library folder, open the Preferences folder. If you don't see the Preferences folder in your Home folder, you can hit Command-Shift-G on your keyboard (while in the Finder), then type in ~/Library/Preferences. The Preferences folder contains all of the plist files for each app installed on your Mac. It also contains quite a few other files, but the only ones we're interested in are ones that end with .plist. We're only interested in the file that ends in .plist. Once you locate the correct plist file, quit the app in question, if it's running. Drag the app's plist file to the desktop; this preserves the preference file should you need to restore it later. Relaunch the app in question. The app should now start up without issues, although all of its preferences will be in the default state. You'll need to reconfigure the app to meet your needs, just as you did originally. Should this not fix the app issue you're having, you can restore the original plist file by making sure the app in question isn't running, and then dragging the original plist file you saved to the desktop back to the Preferences folder. As we mentioned, file permissions and corrupt preference files are the most common problems that prevent an app from working correctly. If you've tried both methods and are still having issues, I suggest contacting the app developer and explaining the problem you're having. Most developers have a support section on their website where you can request assistance. One last test you can perform is to start your Mac up in Safe Mode. This special startup environment restricts most startup items and limits the operating system to just using the basic OS core. If you can start your Mac in Safe Mode and then use the app in question without issues, the likely cause is not permissions or preference files but a conflict with another app or a startup item.